For the second year running, leading renewables developer SSE will be taking part in the Kintyre Way Ultra 2019. Running is just one of the things SSE, owners of Tangy wind farm in the Kintyre peninsula, will be doing to support of this fantastic event. 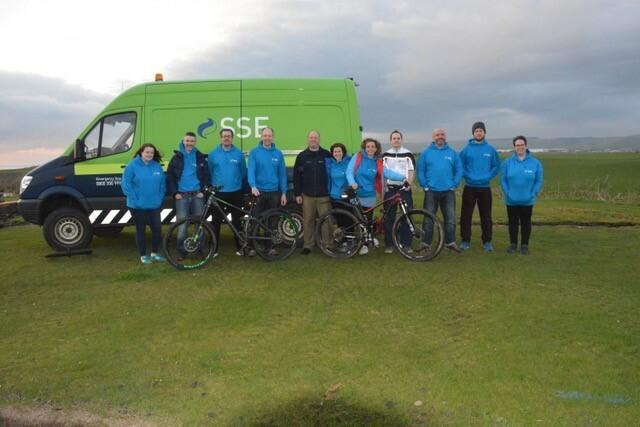 SSE will be powering the very people taking part in the event by contributing towards the sponsorship. 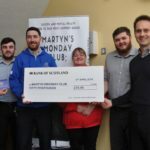 Seventeen members of the Tangy wind farm team will be either volunteering to help participants find their way along the route or taking on the gruelling endurance challenge, running the 32-mile track on the northern part of the Kintyre Way, beginning at Tayinloan and finishing at Tarbert. For SSE, sponsoring the catering, goody bags and T-shirts was a no brainer. 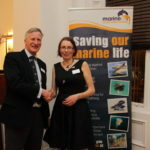 As project manager Andy Gregory explains: ‘This community has been so supportive of us over the years and we are so pleased to have a chance to give back to them by helping with an event so close to the communities heart. We had a great time helping and taking part last year so we’re thrilled to be back again this year. ‘I guess you could even say that it’s fitting we’re providing the catering on the day. After all, our Tangy wind farm has been providing energy for over 15 years and now we’re able to provide some much needed energy to the competitors on the day as they take on this tremendous race. Leisure users on the Western Isles will be able to access centres in four other areas of Scotland at no extra cost. Comhairle nan Eilean Siar has announced the new leisure link partnership that will give people access to gym, public swimming and fitness classes across Highland, Moray, Orkney, and Argyll and Bute. The scheme will be known as the Leisure Link Partnership and will give access to people in all of the areas to gym, public swimming and fitness classes in each of the regions. The March 31 issue of The Ileach magazine says: ‘Following the report within the “Blast From the Past” section in our last edition of The Ileach, issued 16 March, concerning the “Earthquake heard on Islay on 13 March 1999”, it seems we may have specialist powers of premonition. ‘As our last issue hit the streets of Islay on 16 March 2019, there was a report of an earthquake on Islay at around 10am on the same day. This has subsequently been confirmed by the British Geological Survey as occurring at 10.11am with a magnitude of 1.8. ‘Looking at the BGS map, it looks like it centred around Bruichladdich, so you may want to check the bottles in the bottling hall!